Dr. Sepulveda, a native of California, born in Salinas, is a Board Certified Medical Doctor. He went to the University of California Santa Cruz where he obtained a B.A. in Molecular Biology. After which, he attended the School of Medicine at Temple University in Pennsylvania. After graduating in 1996, he journeyed back home where he completed his residency in Internal Medicine at the University of California San Francisco in 1999. His vast clinical experience for the past 17 years included Private Practice, Medical Directorship, and Hospitalist. 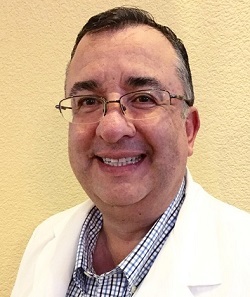 He is currently a California Medical Board Expert Reviewer and a Clinical Instructor at Natividad Medical Center where he has won teaching awards for three years. He is a well-respected physician in the community and is also affiliated at Salinas Valley Memorial Healthcare System.